For the first time in the history of JURA compact class, one touch of the button is all it takes for your favourite speciality coffee with milk to flow into your cup. 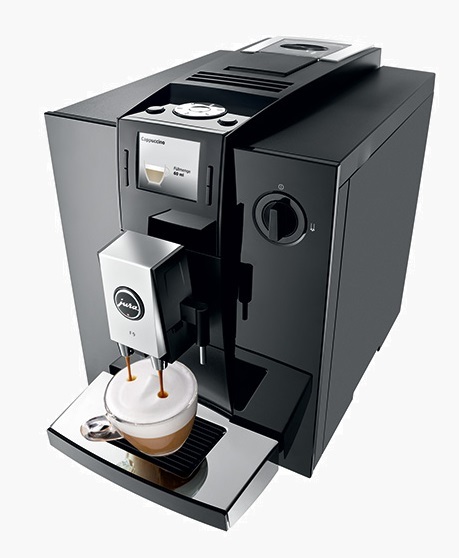 As well as classics such as ristretto, espresso, coffee, latte macchiato and cappuccino, the JURA IMPRESSA F9 also produces the perfect flat white, the latest exciting drink from overseas, and the popular caffe latte. TFT display with Rotary Selection. Aroma+grinder now twice as fast.